Get ready to time travel. Herman's story (with the sequel, Empire of Dust, already out) is a richly detailed fantasy retelling of Alexander the Great's teenage years. Herman was a historian before she was a fiction writer, and her passion and knowledge shows through on every page. White fictionalizes the lives of two famous figures: Vlad Dracul and Mehmed II. The stars here are Vlad's children who become prisoners of the empire, fierce Lada who longs for her Wallachian home and gentle Radu who finds comfort in Islam. It's a lush, luxurious epic. One of my favorite historical novels! It's a lightly Steampunk-y mystery set in the English country side. It deals with madness, murder, and the war against Napoleon. Plus a little family, a little romance, and a lot of girlpower. Marsh combines Manx legend and history into one fantastical tale of a girl, a witch, a sea monster, and a mysterious outsider. Lee's gorgeous, vivid novel follows the fate of a feisty girl from Chinatown trying to make it at a fancy, heretofore all-white girls' school...right before the great earthquake changes everything. I'm gonna try not to make this list all Cat Winters, since all of her historicals are brilliant as hell. This one tackles the terrifying Spanish Flu epidemic, a side of WWI that's often overlooked. Plus spiritualists, ghosts, and a vibrant heroine. This brilliant story of friendship and family is set just before Prohibition, in an alternate America where people with "afflicted" blood are revered and reviled for their magical illusions. Add some gangsters, some murder, and a little bit of jazz. Okay, only two Winters books. I'm being good. This beauty follows one girl determined to fight for women's rights--and the people who will fight her at any costs, even if it means hypnotizing the fight out of her. Talley's fabulous debut features the split-narration story of school integration from dual perspectives: a privileged white girl whose family opposes integration, and a black girl who is one of the first to break the race barrier. Their story deals with race, friendship, identity, sexuality, and the most brutal (and bright) sides of humanity. With a huge, diverse cast, supernatural flair, and epic scope, this novel (and its sequel, Lair of Dreams) is an easy favorite. It follows a group of magical miscreants known as Diviners, and the dastardly people who hunt and exploit them. Your turn! What historicals do you love? 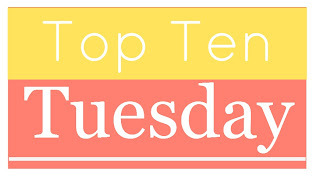 Making this list reminds me that I don't really know historical YA set outside of the West. More knowledgeable readers, please help?